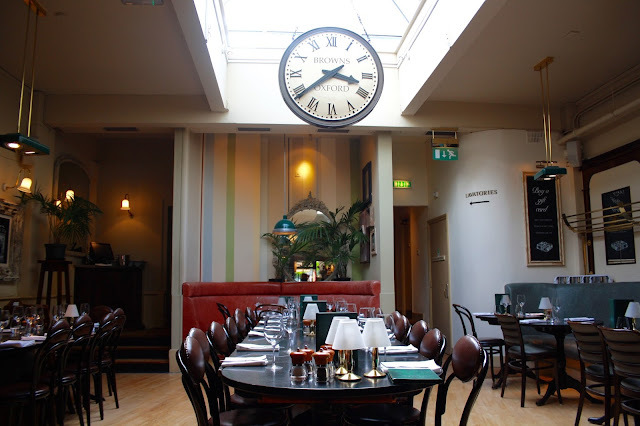 As a little treat for finishing our university exams, I booked in for an afternoon tea at Browns Brasserie in Oxford with two of my friends. 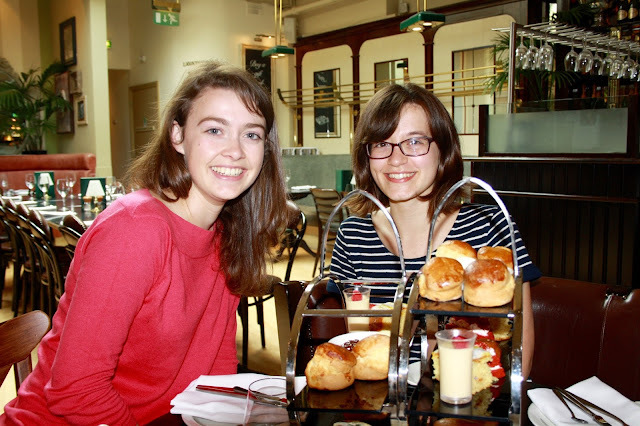 After seeing Jemma's post all about her afternoon tea at Browns in Liverpool, I decided to share my experiences at the Oxford branch! My friends and I opted for the 'Traditional Browns Afternoon Tea', which cost £12.50 per person. After being shown to our table and offered tea or coffee (I opted for a hot chocolate - yum! ), we were served up two delicious tiers of sandwiches, cakes, and scones. Each of us had three butter brioche rolls, filled with free range egg and watercress, chicken and avocado, and smoked salmon and cream cheese. The slight sweetness of the brioche rolls complemented the savoury fillings very nicely. The sandwiches were perfectly sized for an afternoon treat as well, anything larger would have been too much. It was plain to see that a lot of thought had obviously gone into the food selection. Once we polished off the sandwiches, we turned on the desserts! We tucked into red velvet cake, lemon cake, a white chocolate mousse topped with raspberries, and my personal favourite, salted caramel profiteroles. All of the food was very fresh and tasty, you couldn't fault the quality at all! Each of the cakes was light and fluffy, and the white chocolate pot was deliciously creamy. However, it was the scones turned out to be the biggest treat! They had obviously been freshly baked that afternoon, in fact they were still warm from the oven! They were utterly delicious when smothered with cream and jam. I could have easily eaten many more than my share! Although our experience was generally very positive, it wouldn't be an honest review unless I mentioned the little things that let it down slightly. The service at Browns left something to be desired. Despite there being plenty of staff milling around, none of them checked back to see if everything was alright for us after bringing the food, and actually getting a member of staff to come over and take our payment took an age, although we had a debit card ready when they brought us our printed bill. Overall, the three of us had a lovely time, and based on the quality of the food, I'd definitely consider returning to Browns for another afternoon tea. Here's my afternoon tea question of the day, and it's a divisive one! 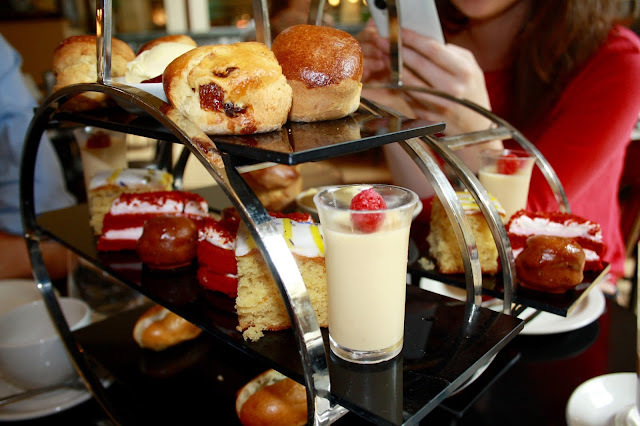 With your afternoon tea scones, do you put the jam on first, or the cream? Let me know in the comments below!